This is a hand sculpted and hand painted figure by artist, Brian Davis. 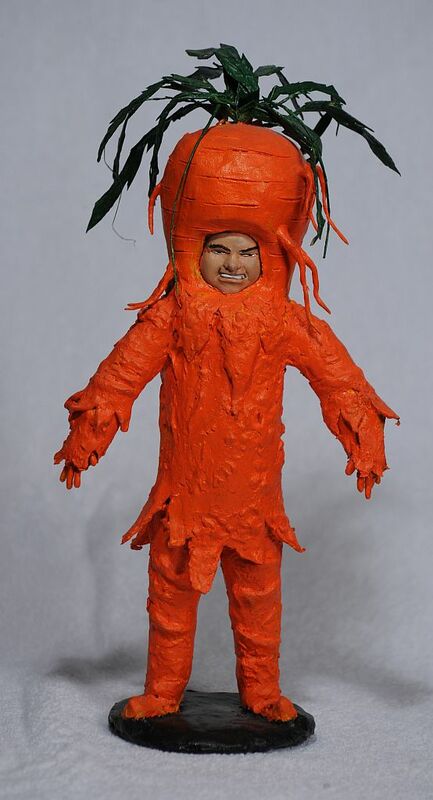 The figure is 12.5" high. 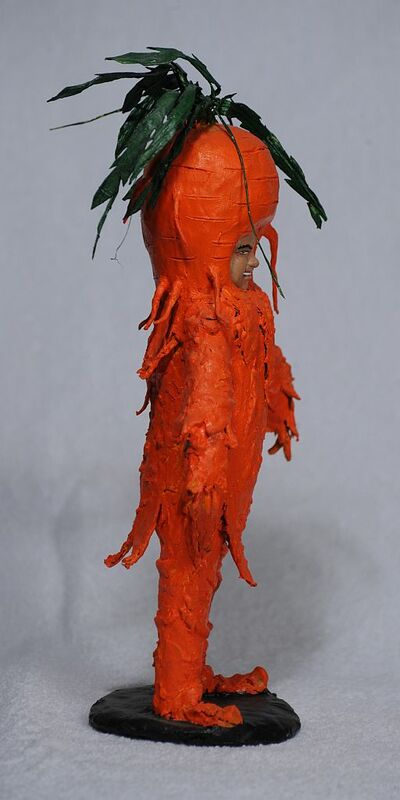 This special sculpture is the all-time classic alien "Tybo" the talking carrot from the episode, The Great Vegetable Rebellion. Actor Stanley Adams, played the Tybo, and his side-kick Willoughby played by James Millhollin. This Lost in Space episode originally aired on CBS February 28, 1968.